Over 2500 years ago, (c. 580 – 500 BC) the Greek philosopher and mathematician, Pythagoras, believed that the world was built on the power of numbers. According to Pythagoras theory, everything in the universe is composed of mathematical patterns that have an effect on human nature; meaning that all things can be expressed in numbers that correspond to universal vibrations. These vibrations interact with the electromagnetic field of humanity. In this way, Pythagoras believed, numbers are the keys that unlock the secrets of the universe and nature. I have been studying the influence that numbers have on human beings for twenty- five years. It is one of the reasons I include it in a soul blueprint session with my clients. By calculating a person’s life path number, destiny number, heart’s desire, public persona, and personal year vibration, as well as their astrology chart, I can best observe repeating themes in their soul contract. Further, there are also numbers that affect mass consciousness. As some of you may know, the entire planet has been experiencing the personal year vibration of 11. 11 is a master number, the number of light and light workers. Many people in the “lime – light” who end up as humanitarians are born under this number – Elizabeth Taylor, Jacqueline Kennedy, Anthony Robbins, and both Barack and Michelle Obama. So today we celebrate the 11/11 vibration with an added power to it, as it is in an 11 year. When we add these numbers up, we get 33, the number of the Christ Consciousness. Developing the Christ’s consciousness comes down to one simple notion: “bring love to it.” Whatever the thought, bring love to it. On this auspicious day of 11/11/11 (2018 – 2 plus 1 plus 8), practice moving your thoughts to love and when you fall back into the ego’s trap of judging, love that, too! 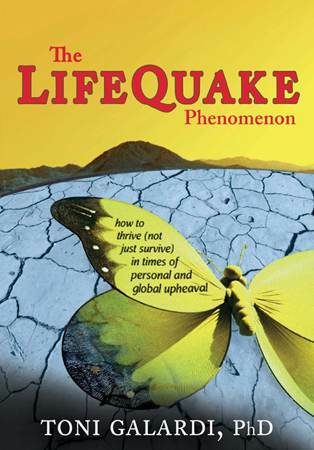 In my book, The LifeQuake Phenomenon, after we have discovered what you are here to do next with your life purpose in stage five, I introduce the concept of sacred geometry for manifesting the new design. I give as a tool to repeat certain master numbers in order to manifest your greatest heart’s desires. One of those is the phrase: “I now vibrate to the frequency of 11/33/44”. This will take you to the Inner Self and so will just repeating, “I am 11/11/11”. This week we have a lot of planets moving signs or changing direction. Jupiter just went into its home sign of Sagitarrius for the next year. This should be a lucky year for those with personal planets in the sign of Sag. If you are a writer aspiring to get a book published, a teacher, or world traveler, Jupiter going into its home sign can be lucky for you. It also rules the law and law suits. Mercury officially goes retrograde on Friday, Nov 16 although it is already in its shadow (making its mischief with my mail, missing items from UPS like shower curtain hooks, and movers who damaged the property I am renting). On the very same day, Venus goes direct. So, it becomes ok to fall in love again, just don’t sign any contracts until mid December! If you can hold off doing your Christmas shopping until around the 10thof December, I would pass on Black Friday, that is of course unless you are moving homes and the deals are just too good to pass up! Wink, wink. I moved my primary residence to Asheville, NC and have no furniture yet except a desk and a bed. I will still be traveling back to the West Coast occasionally to see friends and clients but Asheville is my new home and my work will continue as it has been, predominantly SKYPE, ZOOM or by phone. So in summary, lots of shifting energy this week, folks. If you spend some time every day between Nov 11 and Nov 17 focusing on merging whatever your ego identifies your self worth with into BEING divine love, you will have access to great vibrational quickening that not only opens your heart more fully, but allows for greater resilience as we move through this intense shift taking place globally . A portal is definitely opening. I felt it last Wed, Nov 7th while I was teaching a virtual class. My body went through quite a download of new energy that I am excited to share with you both on the one on one through coaching and a new course starting after the next big Solar Eclipse on Jan 6, 2019. As you move through this week, remember that in all quickenings, first there is chaos as the old form dies and then rebirth for all of us.